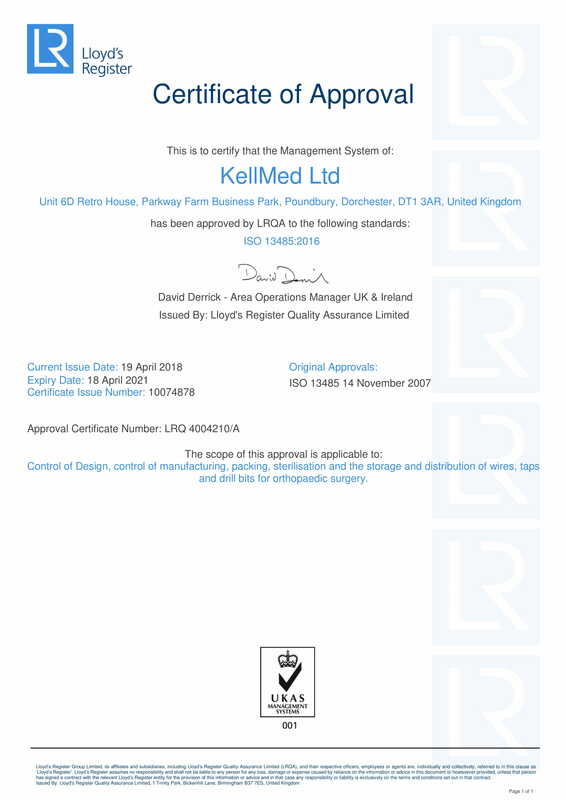 It is the policy of KellMed to provide products that meet all necessary medical device requirements and specifications to fulfil customer order requirements. All employees are required to adopt an objective of ‘best practice’ in all their work, which in turn is reflected in the Quality Management System established to meet the requirements of the international management system standard BS EN ISO 13485:2016 and all relevant Medical Device Directives. The Managing Director and employees are committed to a policy of continual improvement in working practices. Each employee is expected to strive for continual improvement to their own work in order to meet objectives and targets. Objectives and targets are established and reviewed as part of the management review process. This policy will be mandatory for all employees.